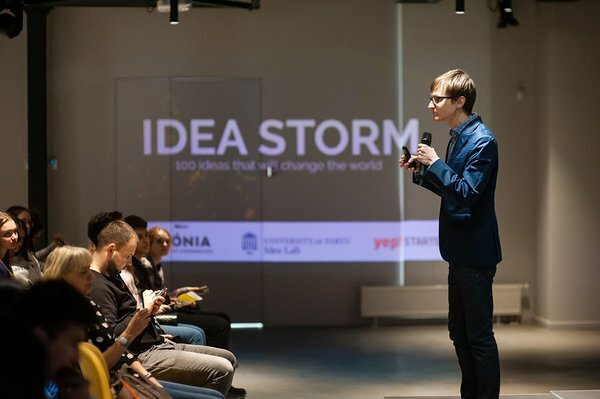 Idea Storm in Kiev was a kick-off event of the programme Yep!STARTER that aims to transfer best practice of Estonian entrepreneurship studies to Ukrainian universities and improve students’ skills and knowledge. 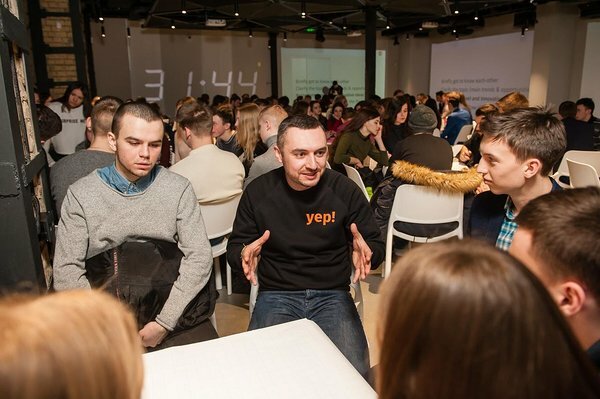 Motivation speakers and table facilitators were local start-up founders and among others Andriy Bondarenko, who started his first start-up at IdeaLab STARTER programme when being the student at the Faculty of Economics and Business Administration. Today Andriy and his course mates from UT BBA programme Nikita Gorskih and Kostiantyn Turchak are co-founders of Move on Miles, a successful company in Ukraine that helps talented IT developers to start their career at Google and IMB. Idea Storm Kyiv had fifteen idea tables and most popular was the table where participants searched solutions to the question “How to create a strong student community?” Similar enthusiasm was on the faces of the people generating ideas for creating crowdsourcing platform for small-sized businesses in Ukraine. Daria Chornomorets, the student at Idea Storm said she liked to be pushed out of comfort zone and was happy about the opportunity to talk to students from other universities in Kiev. “Hundreds of thoughts were literally whirling in my mind. I think that Yep!STARTER will help participants to launch their project ideas or to get into the world of start-ups “, she said. Semester-long business idea development programme Yep!STARTER will end with a competition in May and the best teams will have the opportunity to pitch their business ideas at International business festival sTARTUp Day 2019. According to IdeaLab Manager Maret Ahonen Idea Storm in Kiev and the Yep!STARTER programme is designed for the best practice of running pre-incubation programme STARTER in Estonia and meet the needs of Ukrainian universities. “I am so happy we can share our experience in Kiev, because at IdeaLab we have noticed extraordinary entrepreneurial spirit of students coming from Ukraine and now we can provide similar programme at their home country. The enthusiasm at the beginning makes me believe that students turn their ideas into life. Together with mentors and experts, we give them all the support they need “, said Maret Ahonen. The University of Tartu IdeaLab together with Ukrainian partner NGO “Platform of Innovative Partnership “, provides hands-on entrepreneurship training to the Network of universities including four Project partners: Kyiv National Economic University, Taras Schevchenko National University of Kyiv, National Aviation University and Donetsk National Technical University. The collaborative project is financed by the Republic of Estonia Ministry of Foreign Affairs Developing Cooperation funds and Humanitarian Aid Funds. The project is implemented until May 2019.